When it comes to a WordPress website and the fact is about the loading speed of the site. Then, it’s very indeed to take action to reduce the loading time as far as possible. Because Page Speed is a major ranking factor on Search engines like Google. 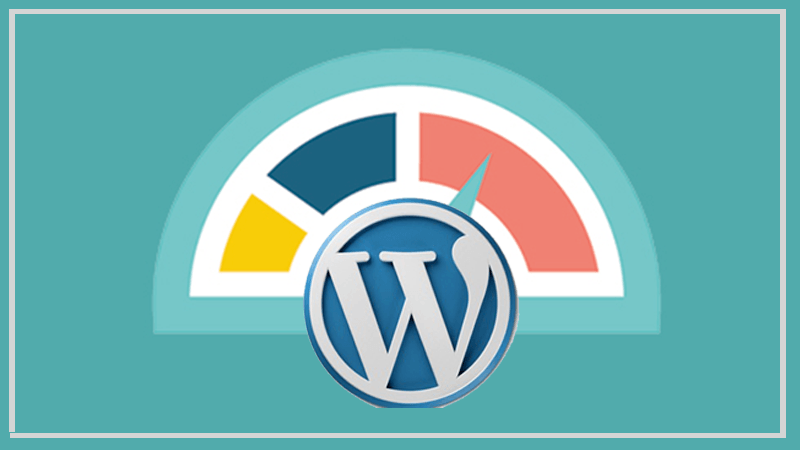 Considering this point, the first thing you can do adding a Caching Engine to your WordPress Website to improves your site performance. So, in this article, I’m going to show you one of the easiest ways add Caching Engine to WordPress website. But, I think it could be helpful to discuss a little about cache and the importance of cleaning it. What is Caching and Why You Need to Add Caching Engine to Your WordPress Site? Caching is a system that stores a static version of your website which allows WordPress to skip running the heavier PHP scripts and improves your website performance. However, there are a lot of different type of caching solution you can use on your WordPress site. The true purpose of caching is to speed up your website and improve the overall user experience. Although, sometimes this causes you do not see the changes you make right away which can be frustrating. But it’s nothing to be worried about. You will just need to clear caches to see your changes. That’s very simple. However, there are many ways available for caching but here, we’re focusing on the most popular way – WP Super Cache plugin to enable caching on WordPress site. This plugin is a powerful plugin and comes with many advanced options to improve your site performance. Simply go to the plugin section of your WP Dashboard and click ‘Add New’ which will open the page for plugin installation. Now, search for the plugin in the search bar, it’ll come out. Then, click the ‘Install’ button, it takes a few moment to be installed. After that, click the activate button to make it ready for work. Once, you activate it, you’ll find a new menu option named ‘WP Super Cache’ under your WP ‘Settings’ section. So, click on it to go to the setting page of WP Super Cache. You can see there some several tabs, on the first tab you are now. So, first turn on caching option and hit ‘Update Status’. Once, caching is on then click on the test cache button to check if it is working. Now, WP Super Cache will fetch your WordPress Website twice and will compare the time stamps of both pages. And, if the time stamps match with each other, then it’s working on your site now. WP Super Cache is a very powerful plugin for WordPress Website with a bunch of useful setting options. But, here I’ll show you the setups that are recommended. So, let’s move on. The next tab is for some advanced settings. Here, you can see the Cache Delivery Method is ‘Simple’ by default and also recommended. So, keep it as it has. Next, you can see Miscellaneous, where you can some options that you can enable or disable. Such as, ‘Don’t cache pages for known users’ (Recommended), you should enable this option. Because a known user has already the cache files in his browser. So, simply enable this. You can also see the option for page compression, which is also recommended because page compression helps pages to load more quickly. In the Advanced section, you’ll see the option for ‘Mobile Devices Support’ which is already enabled. So, keep it on and scroll to the next. Here, you can see the default cache location is wp-content/cache. However, you can change the location if you want but there is no problem with default. The last section under Advanced setting is ‘Expiry Time & Garbage Location’, where the timer is already set by default for checking for state cached files. You can also see scheduler for doing this checking. After getting done with advanced settings, it’s the rough end of your WordPress Caching Engine setup. But, if you’ve CDN for your WordPress Website, then there are more for you. After that, simply check the box that said: ” Skip https URLs to avoid ‘mixed content’ errors”. So, now it’s ready for also ready to serve static content from your CDN. Next, go to the ‘Preload’ tab. This preload mode in WP Super Cache allows you to create super cache static files for all of your posts and pages and serve a static website. However, there could be many more reasons and situations where you might need to completely disable PHP processes. If it will happen to you, don’t need to be worried about that. WordPress will work normally and you will still be able to manage your content with WordPress. Here, the refresh preload cache files options need to set to zero by default. Whether minimum required time is at least 30 minutes. As well as, need to check the preload modes. Remember, Pre-loading your entire WordPress Website takes some time and consumes a lot of resources on your server. So, you should leave it to 0 if you don’t want your static files to expire ever unless you manually refresh the cache. That’s it, the Caching Engine integration to your WordPress Website is complete. I think you have found this guide helpful and successfully added WP Super Cache to your WordPress site. If you got any problem through the steps, simply let us know. We’ll try our best to help you. As well as, if you already know any other way adding Caching Engine to WordPress, share your experience with us. We’ll be happy to hear you. Thank you for such a detailed article! I exactly need to conserve server resources of my site and was looking for a help.